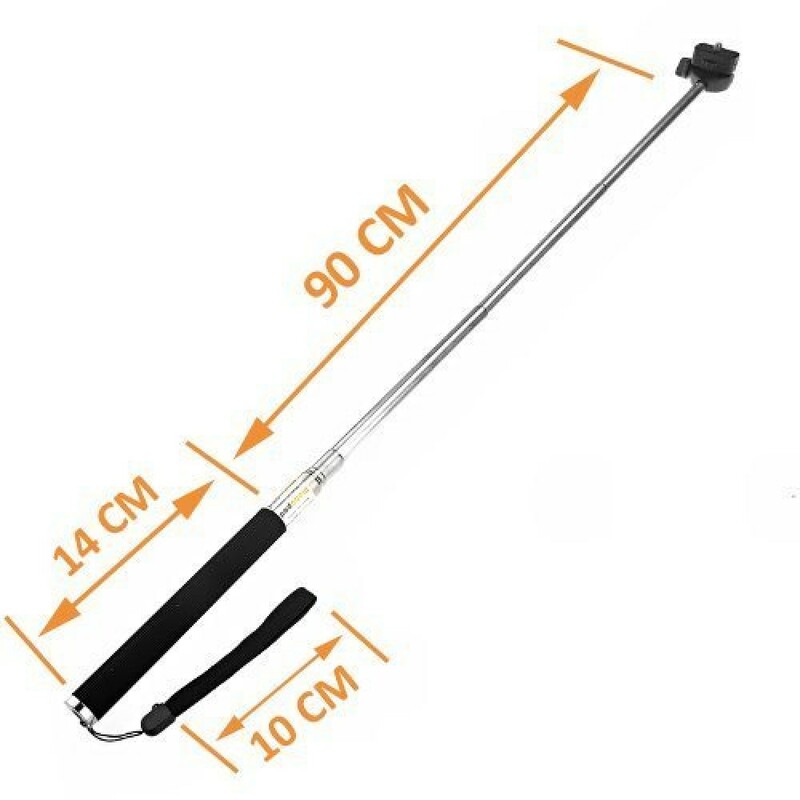 - Take self-portraits, pictures and videos with this convenient Selfie (or Selfy) Stick. 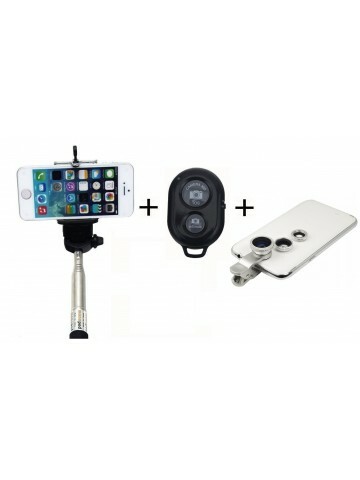 - Adjustable phone adapter fits all cell phone widths from 5 cm (2 inches) up to 8.5 cm (3.5 inches). - Fits mobile cell phones iPhone 4/4S/5/5S/6, Samsung, and many other mobile phones. - Supports multiple angle shooting positions, up to 180 degrees. - Compatible with IOS and Android smrtphones. - Works within 30 feet (10 meters). - Easy to pair with any mobile phone via Bluetooth. 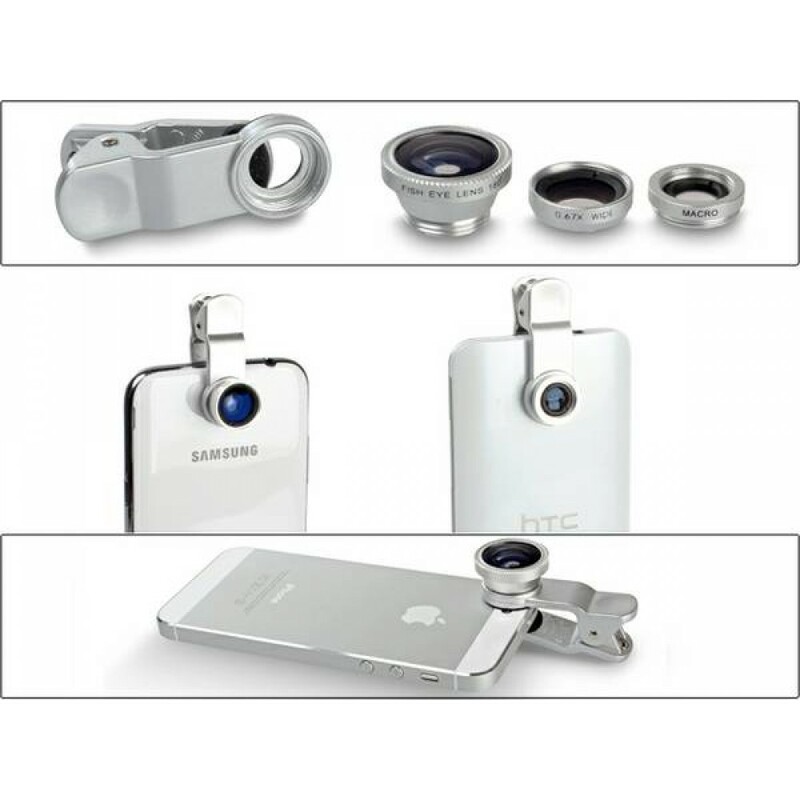 - This high quality 3-in-1 Clip-on bracket design comes with 3 Lenses: Fish-Eye, Wide-Angle & Macro. - Step up your photography skills with these 3-in-1 lens gadget. 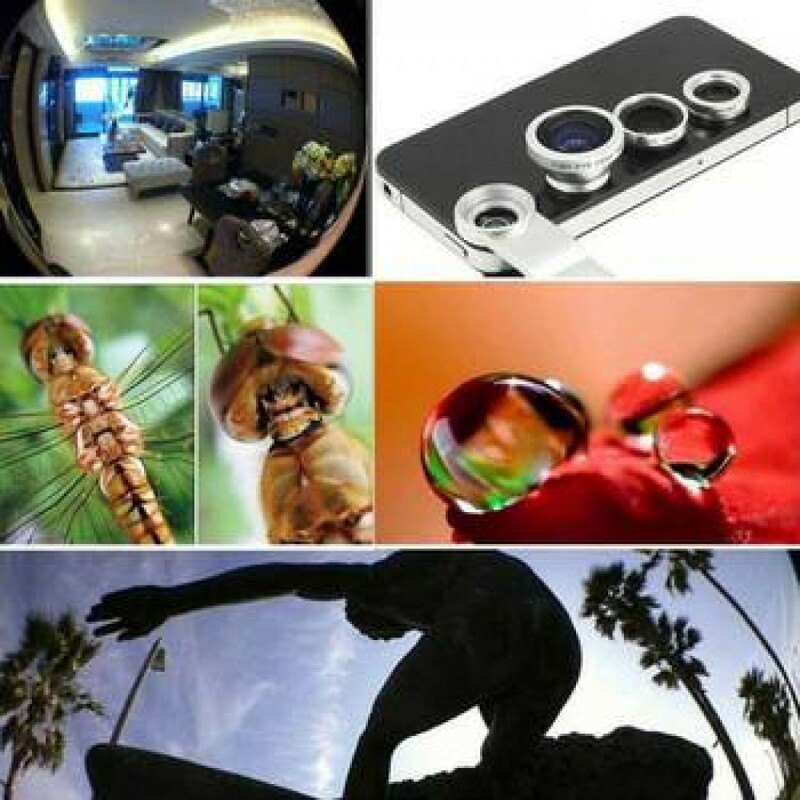 - Make new and fun memories taking out-of-the-ordinary high-clarity photos and video clips. - Simply clip-on to any mobile phone or tablet and start enjoy a new perspective on your picture or video taking experience! - Enjoy your new phone photography / video taking experience, zoom in your friends' face for funny effects, take unique shots during your vacation and travel experiences. 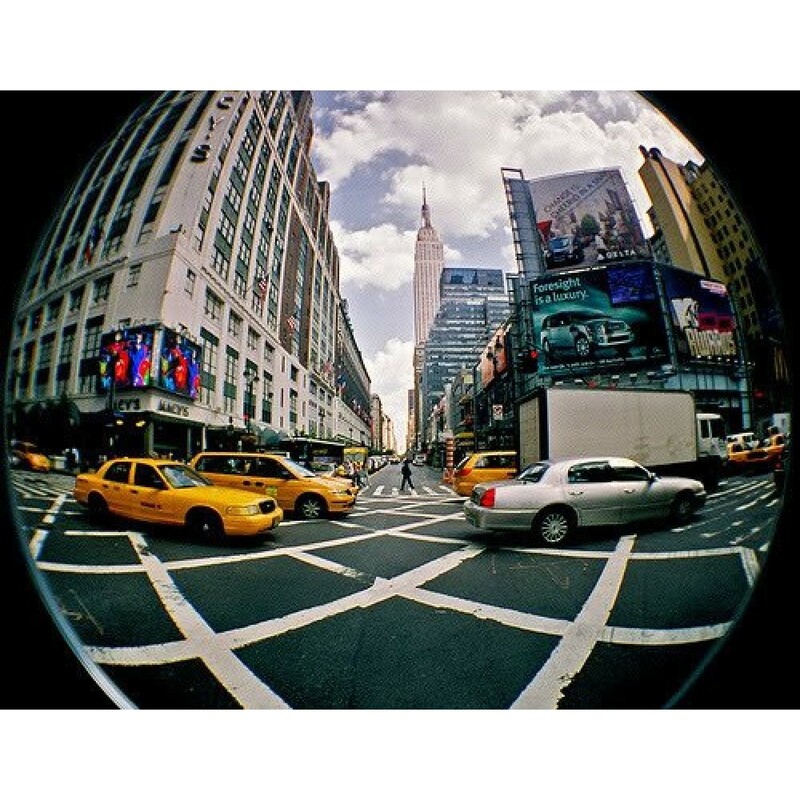 - Take unique photos and videos with special effects such as fish eye views (180 degree shots), wide angle (panoramic) views, and Macroscopic views – its’ like making your mobile or tablet a magnifying glass. - Work on most smartphones and tablets that have built-in cameras (including iPhones 4/4S,5/5S,6/6 Plus, Samsung Galaxy S4 S3 S2 Note 1 2 3, Tablets (iPad, mini iPad, Kindle), Sony, LG, HTC & More! Note: Clip will clip-on on any phone or tablet as long that its thickness does not exceed 0.6 inches. 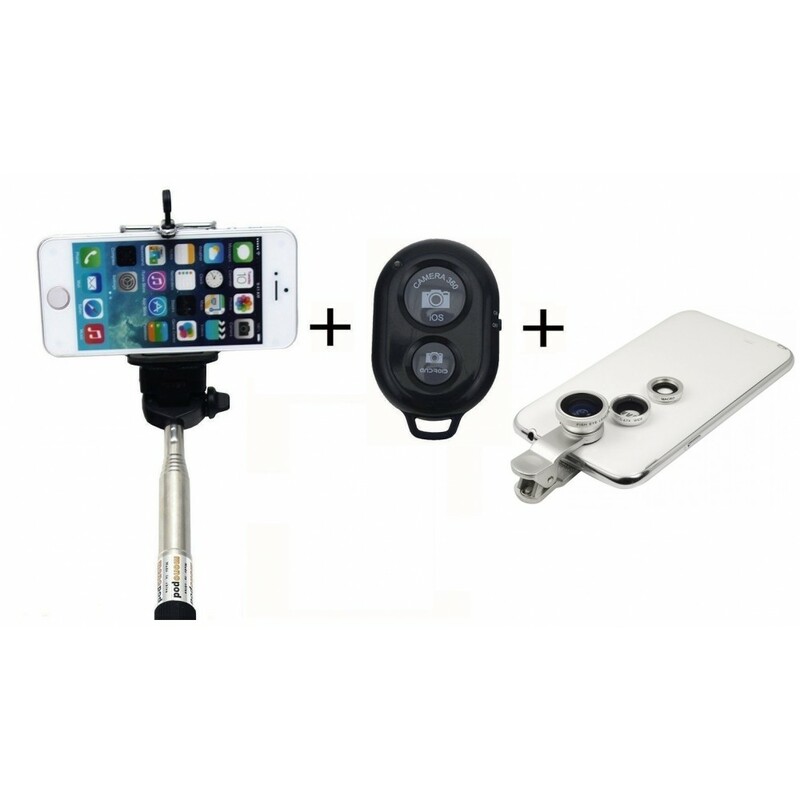 - Safe cushioned mounting material on Clip-On bracket prevents damage to your phone. 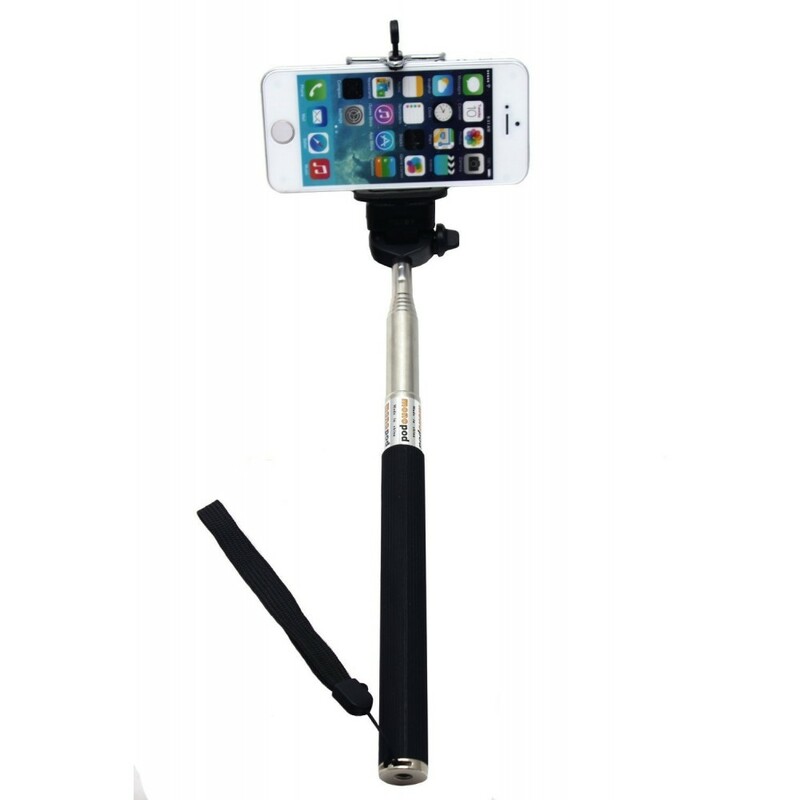 - It can be use with or without Cell phone case. Note: Wide Lens & Macro Lens must be used together for Wide angle shots. 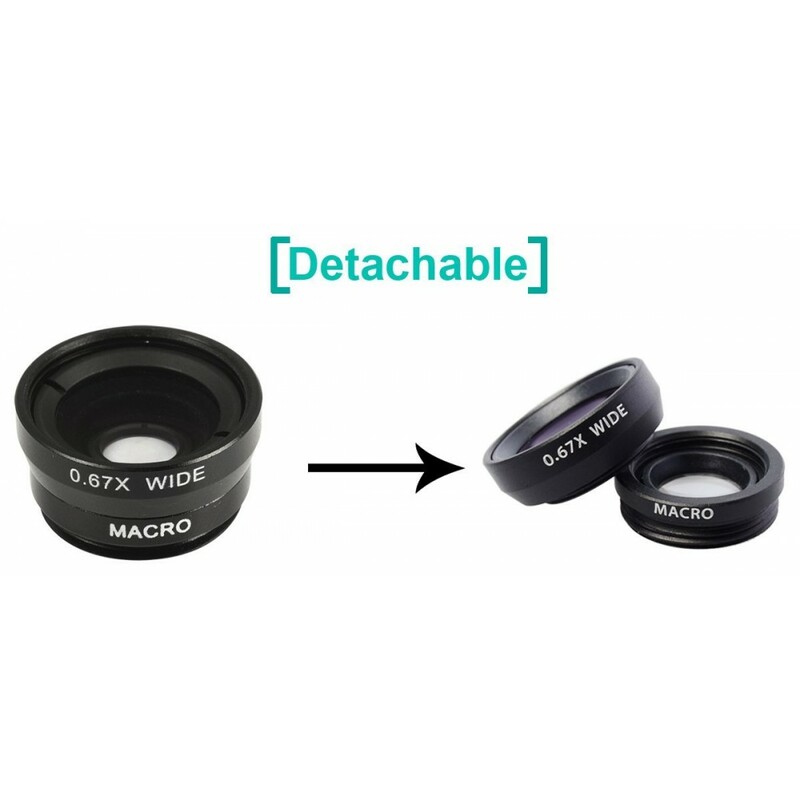 Macro lens must be unscrew from Wide Lens in order to take Macro shots or movies. 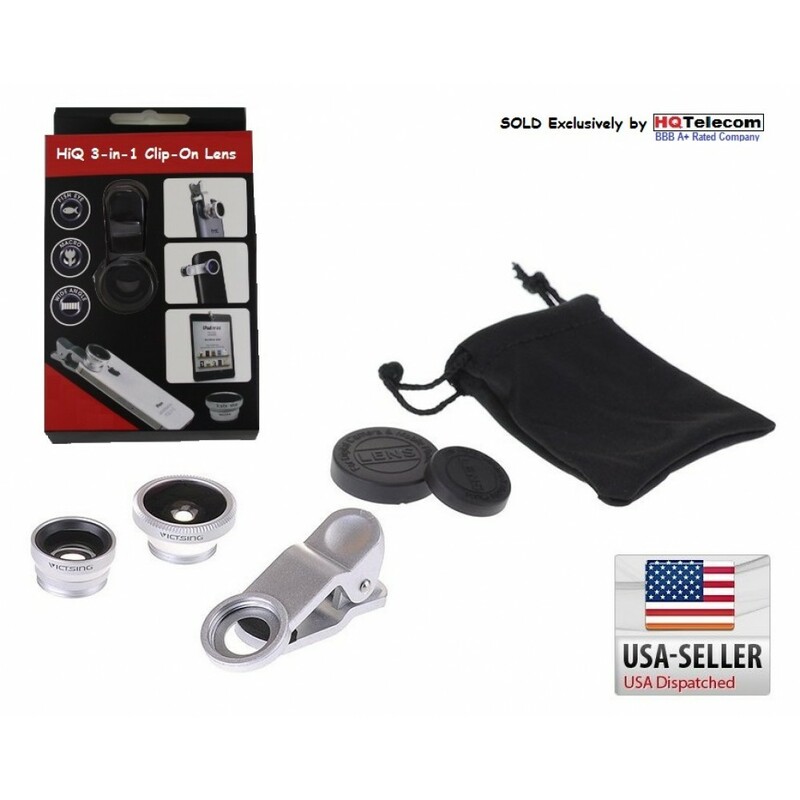 - One(1) Clip-on bracket with 3 lens (Fish Eye - screws into bracket, 1x0.67X Wide lens, MACRO Lens), carrying bag, 2 lens caps.